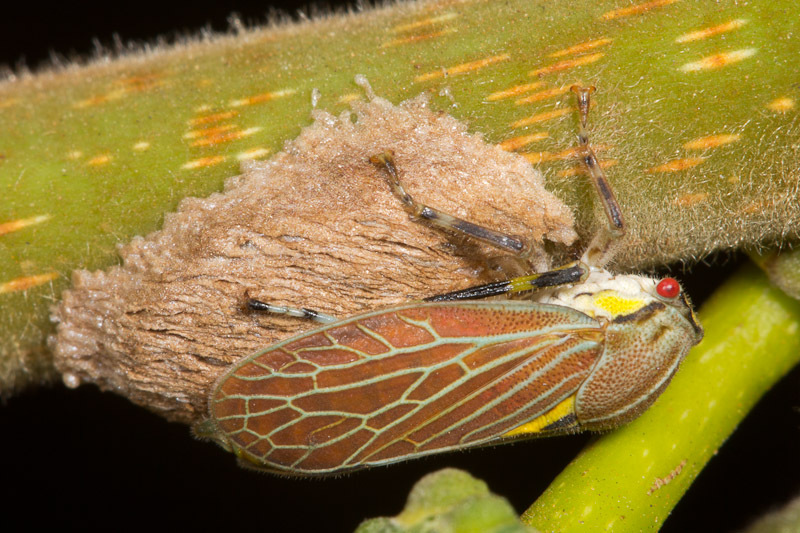 Here’s yet a different species of colorful treehopper. 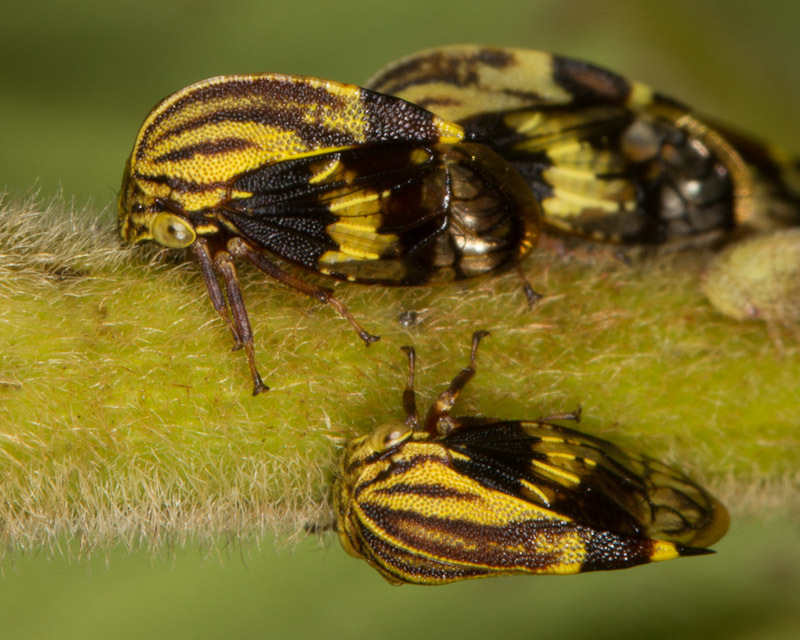 These too were found in association with ants. A busy photo, but packed with natural history. 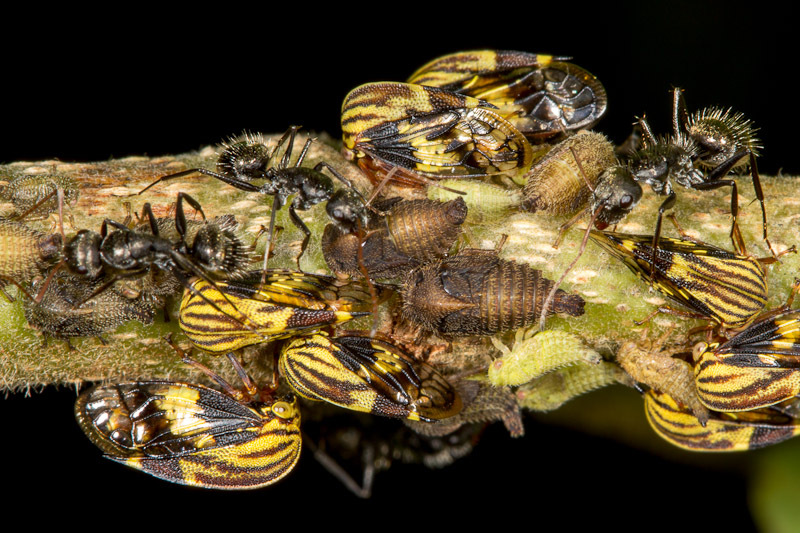 I had planned to post just a single photo of this scene with ants tending treehoppers. 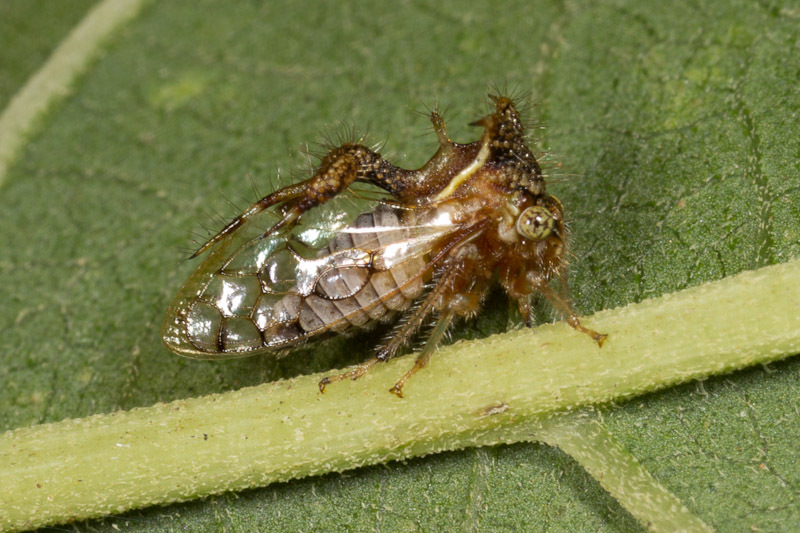 Here we see at least two different colorful treehopper instars, with one actively molting. 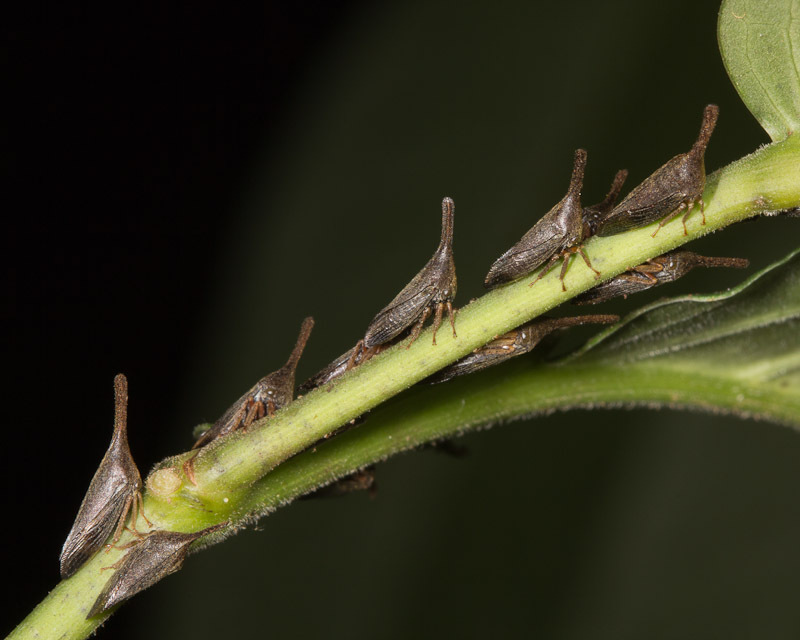 Ants like the one shown above tended to this small grouping of treehoppers. 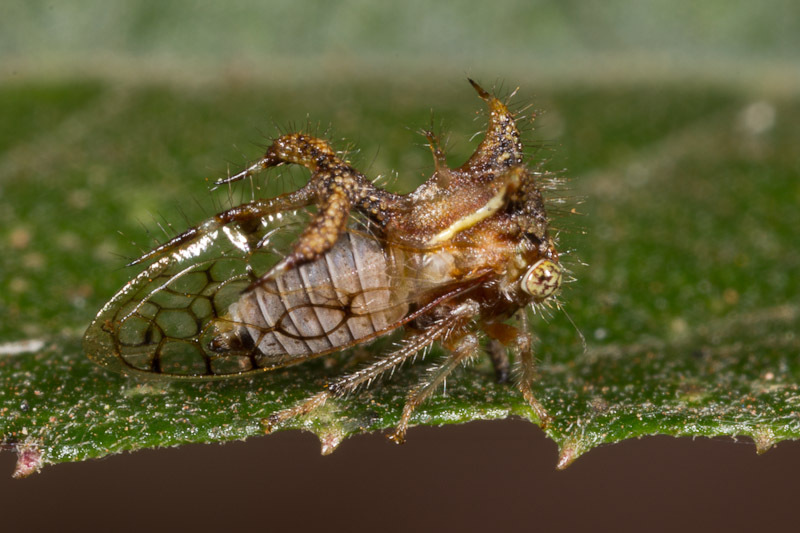 As I was choosing a photo to post, I noticed something strange about the treehoppers though. Do you see it too? 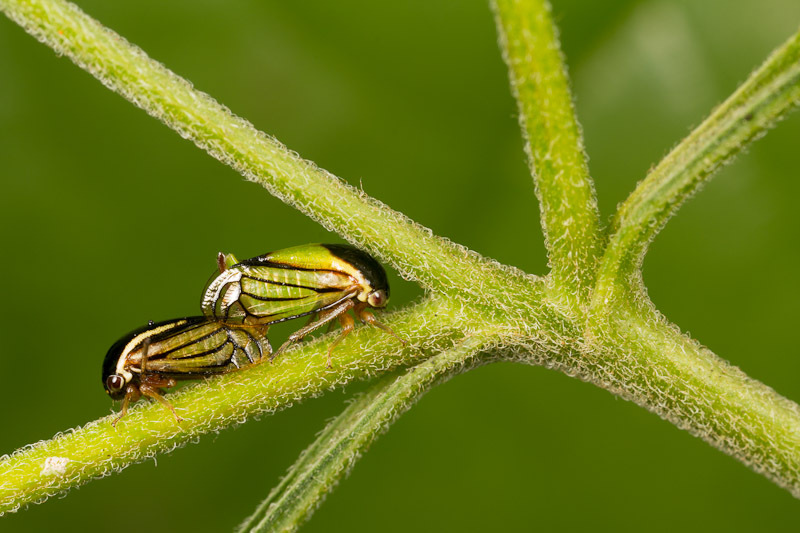 When I spotted a group of treehoppers like the one above, I settled in for a while. With such a beautiful subject, I was determined to get some good photos. The shot above is probably my favorite out of around 300 or so shots. I struggled to get something in the background to avoid the usual black background that usually happens with macro flash photos. 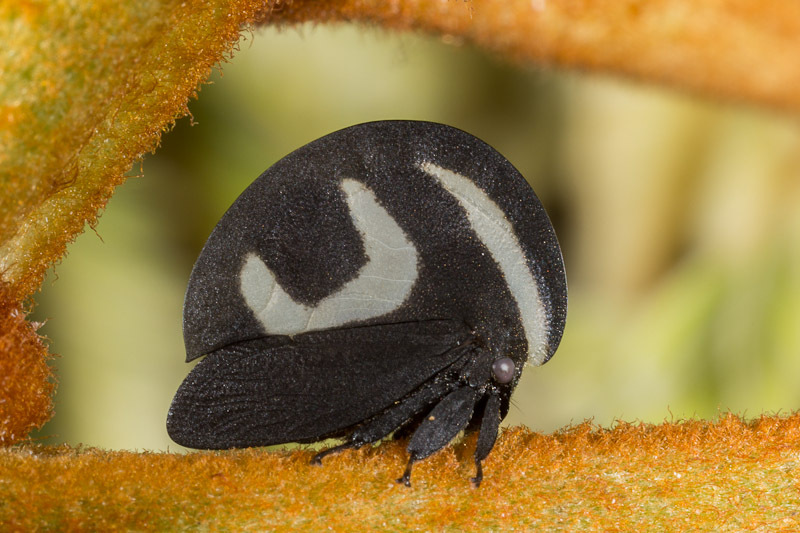 A black background wasn’t going to serve very well for these mostly black treehoppers. 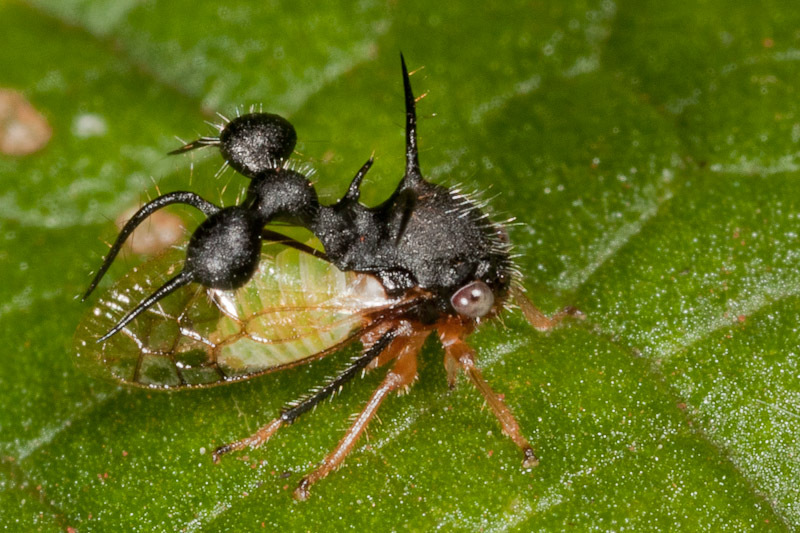 These ants are tending to some treehopper nymphs. 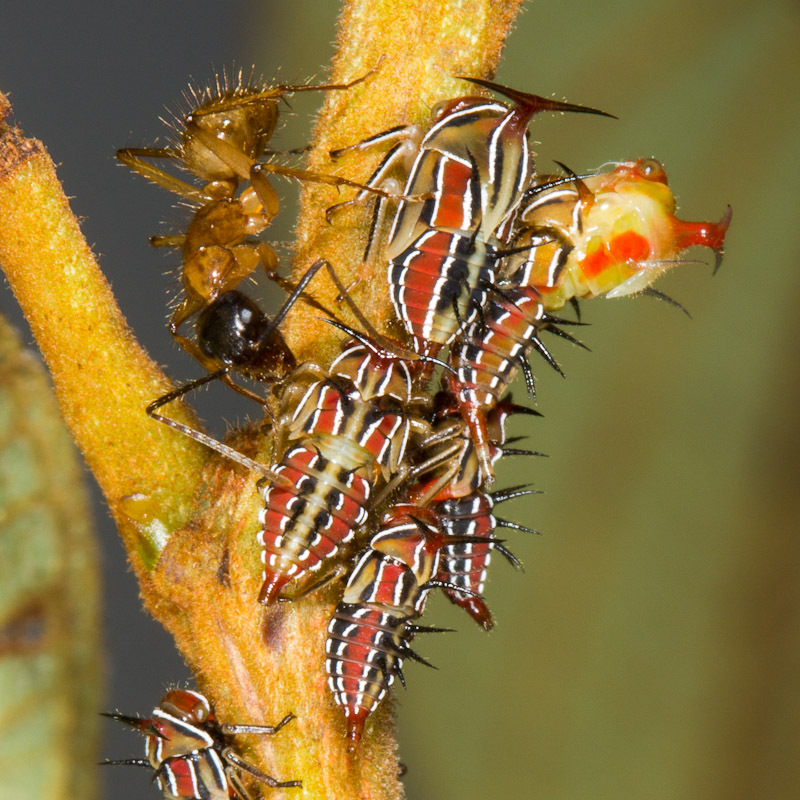 Most of the ants are busy collecting honeydew, but the one on the bottom has noticed me and is on alert. I accidentally bumped the branch after this shot and all of the ants started running around looking for something to attack. 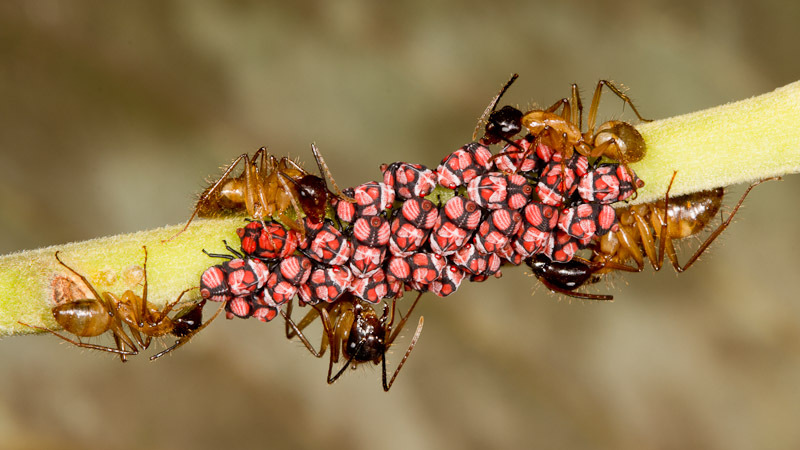 I held up a leaf for a background here so that the ants would stand out. 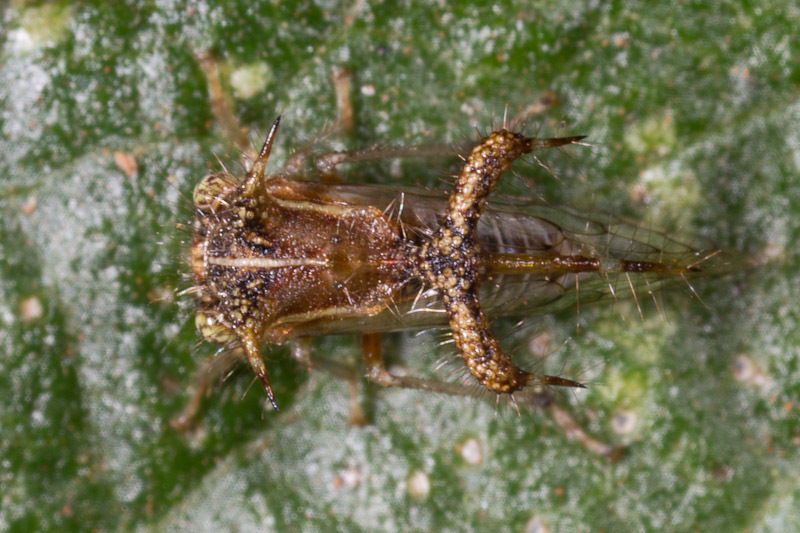 I’ve shown a couple of odd treehoppers already, but here’s yet another variation on that theme. 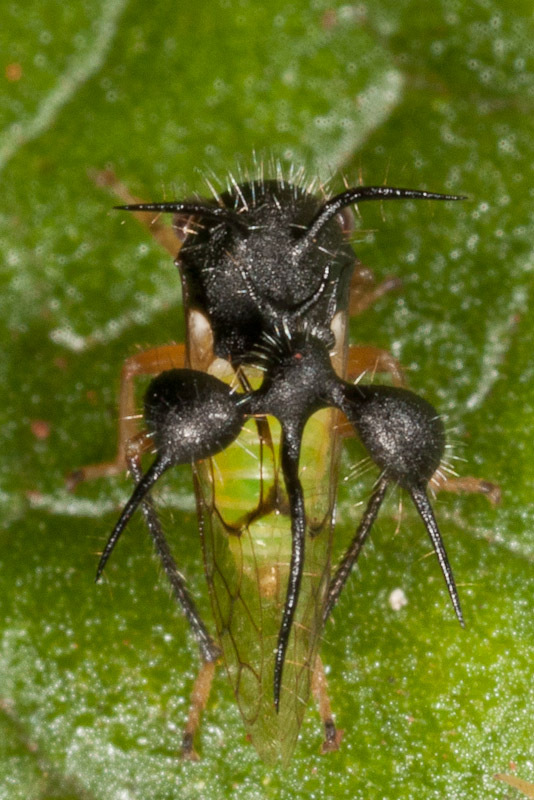 This time, I do kinda see a resemblance to an ant. 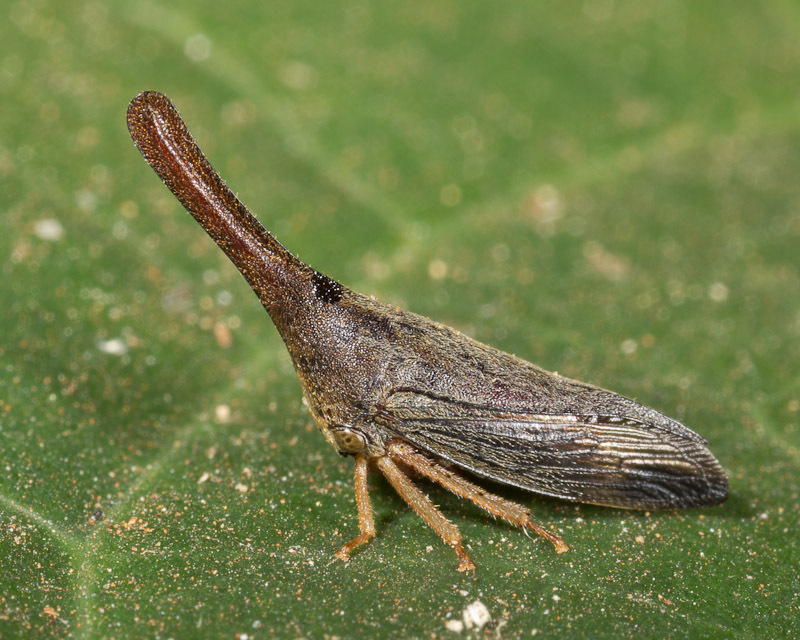 Marshall’s 500 Insects includes a very similar looking treehopper identified as a Cyphonia species. 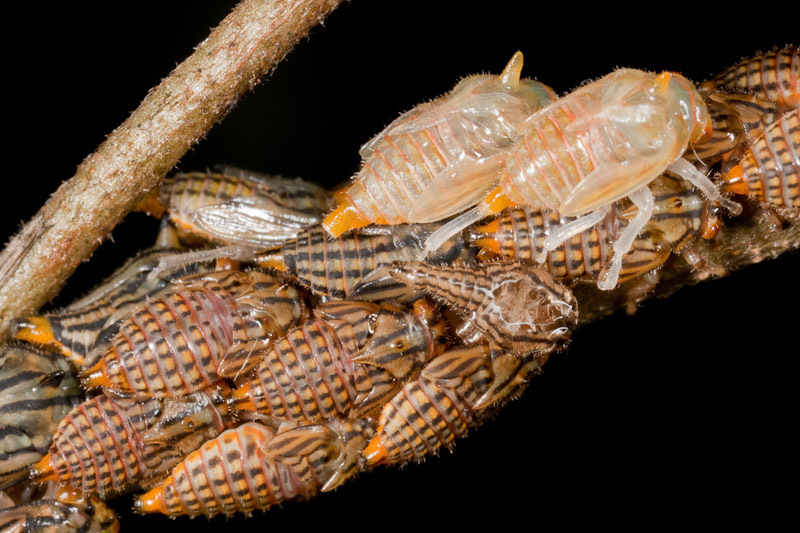 There are a couple of freshly molted treehopper nymphs shown here. 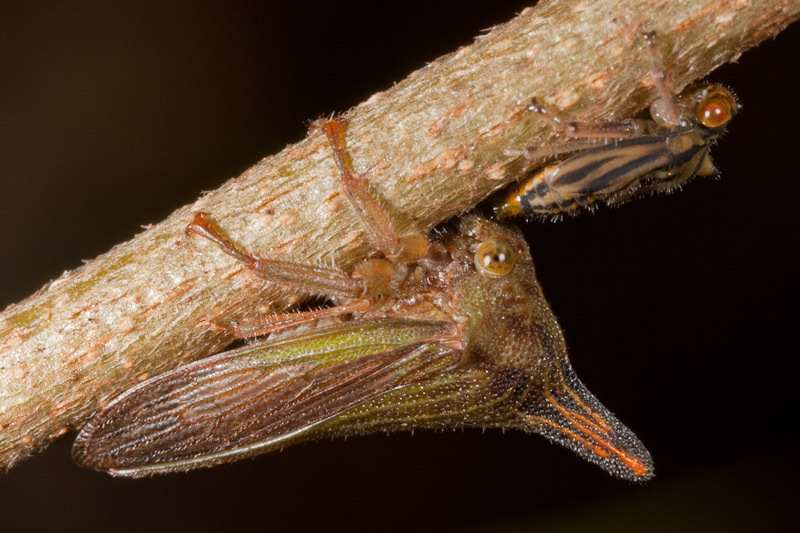 Just below them, you can see a shed exoskeleton. Their colors will return as their new skins harden. In the meantime, they inflate themselves so that their new skins harden larger than their previous ones. 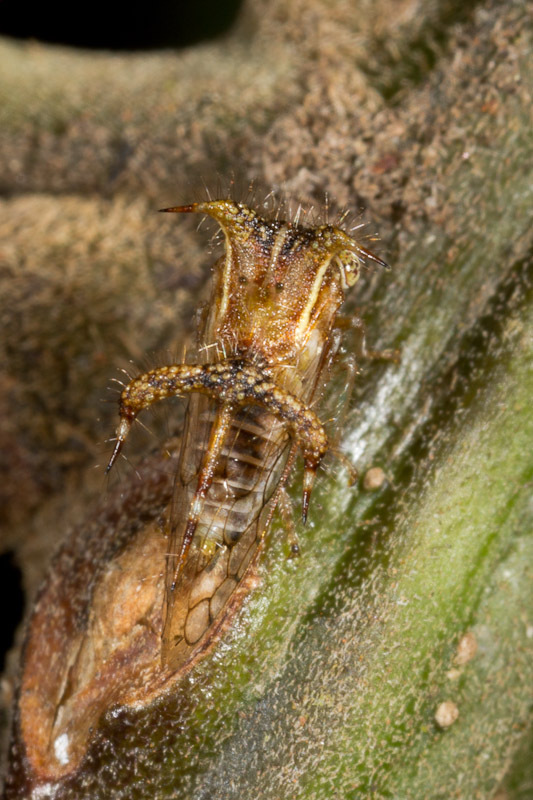 Below is an adult that was hanging around a bit farther down the stem. That’s what they’ll eventually look like. 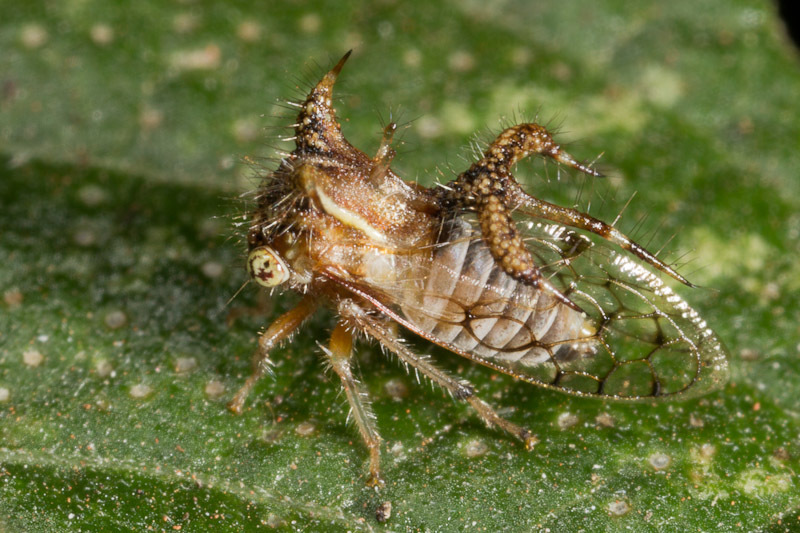 You can see how the horn gets bigger with each molt.